Rarities 2011 was a Rarities Productions collaboration with Alban Low. 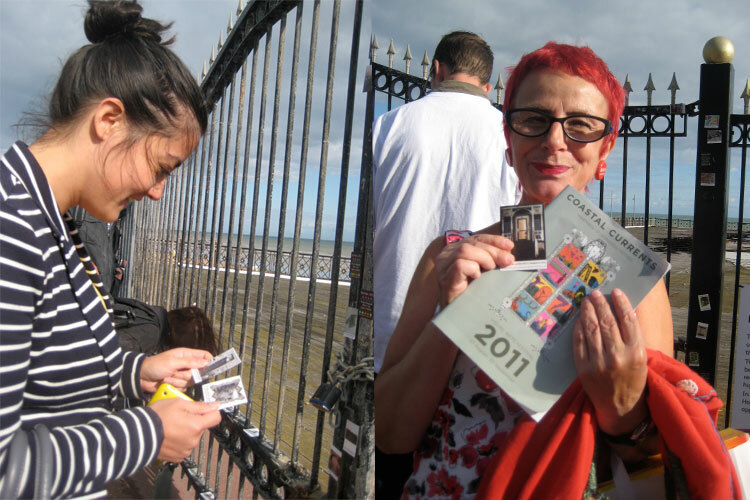 We presented an exhibition of 200+ magnetic artworks on the gates of Hastings and St Leonard’s Pier for Coastal Currents 2011 and passers by were invited to choose a magnet to take home for free. There was a call out for artist participants and over 100 artists work was represented including Sinéid Codd, Alban Low, Adam Piggott, Alex Leadbeater, Dean Reddick, Bryan Benge, Roz Cran, Ray McCrystal, Zeroh and Andrew Dennis. They all received free copies of their magnetic masterpieces. The event was sponsored by local people / businesses. See http://www.rarities2011.blogspot.com for more info on the project, St Leonard’s on Sea and images from every artist involved.